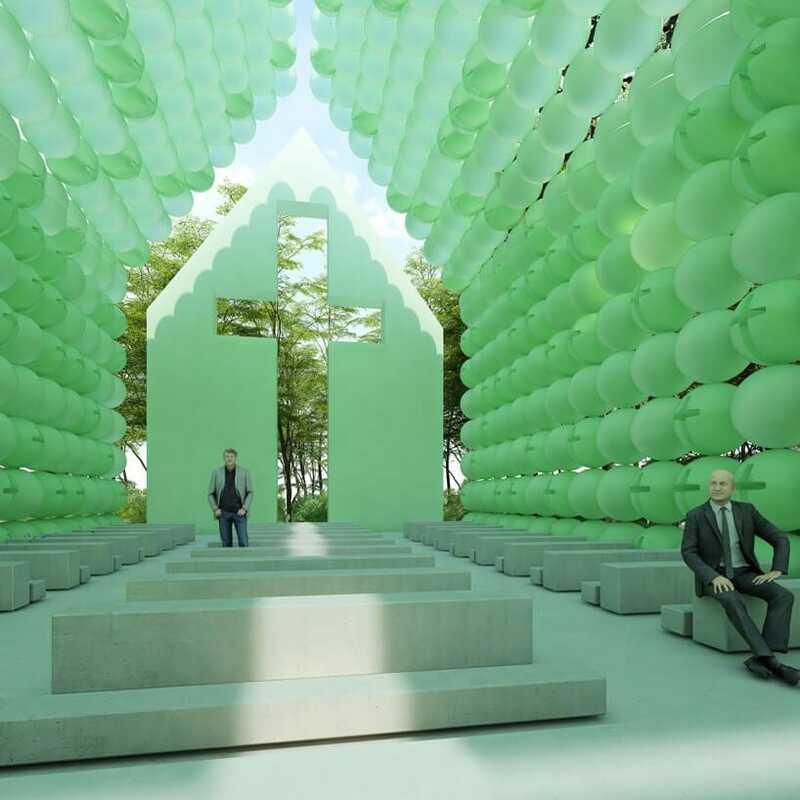 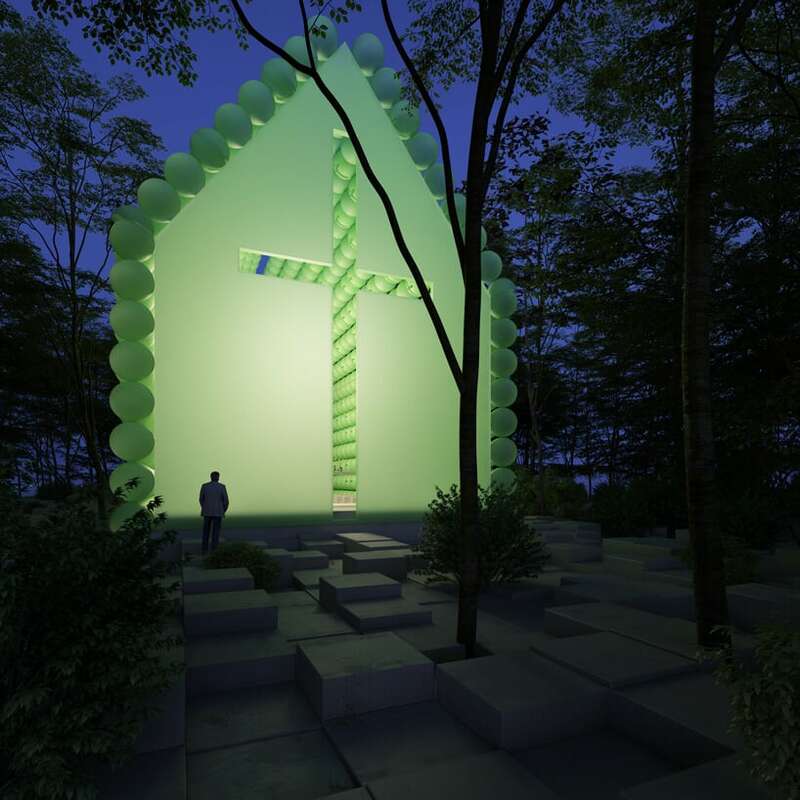 A temporary chapel which may be transported was envisioned by concrete and town. 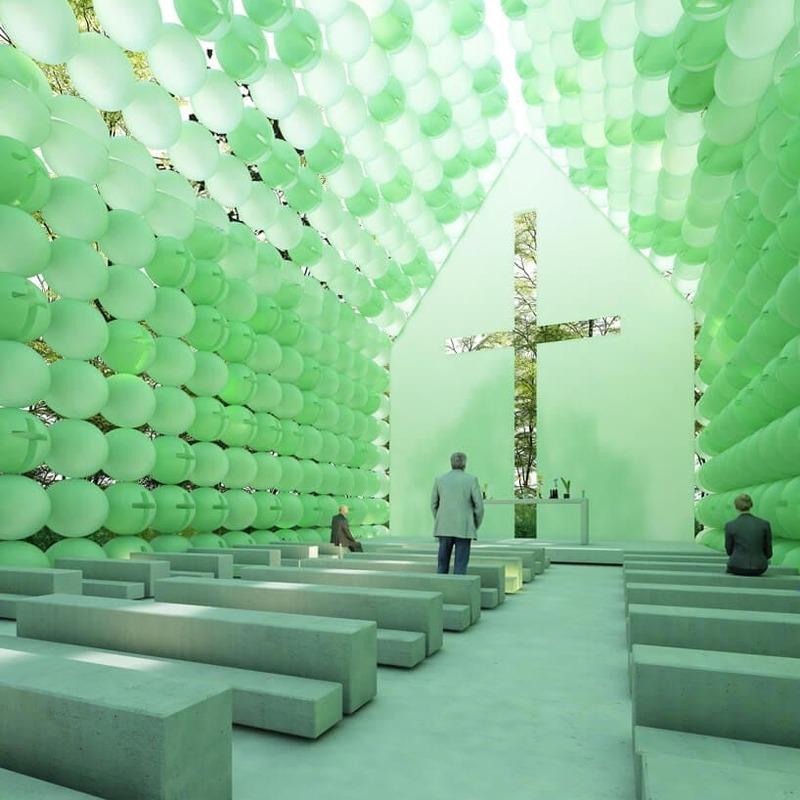 With freedom in mind, the normal furniture required for a chapel was reduced to the simplest kind. 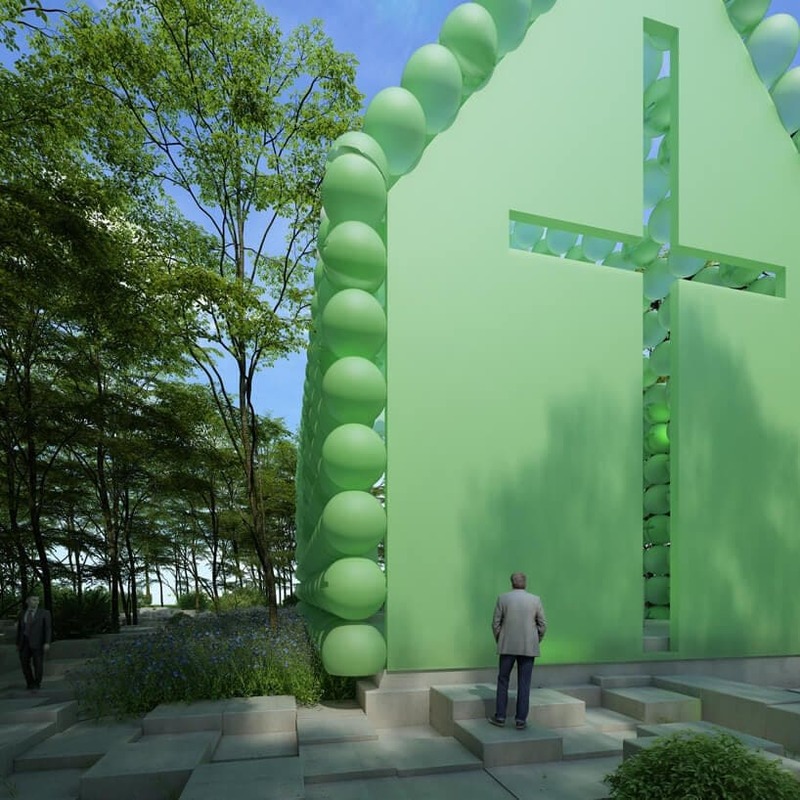 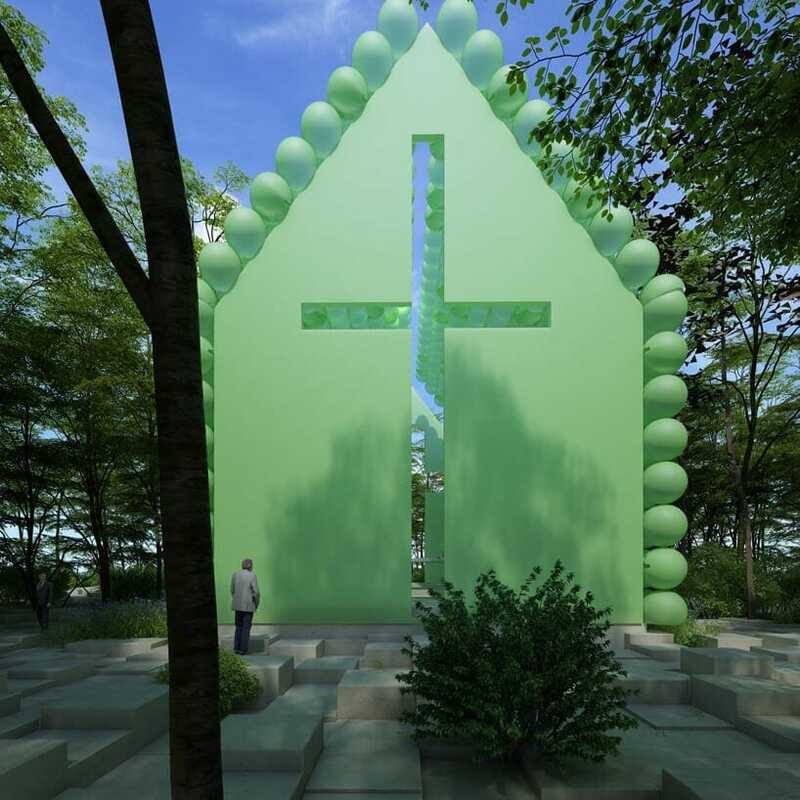 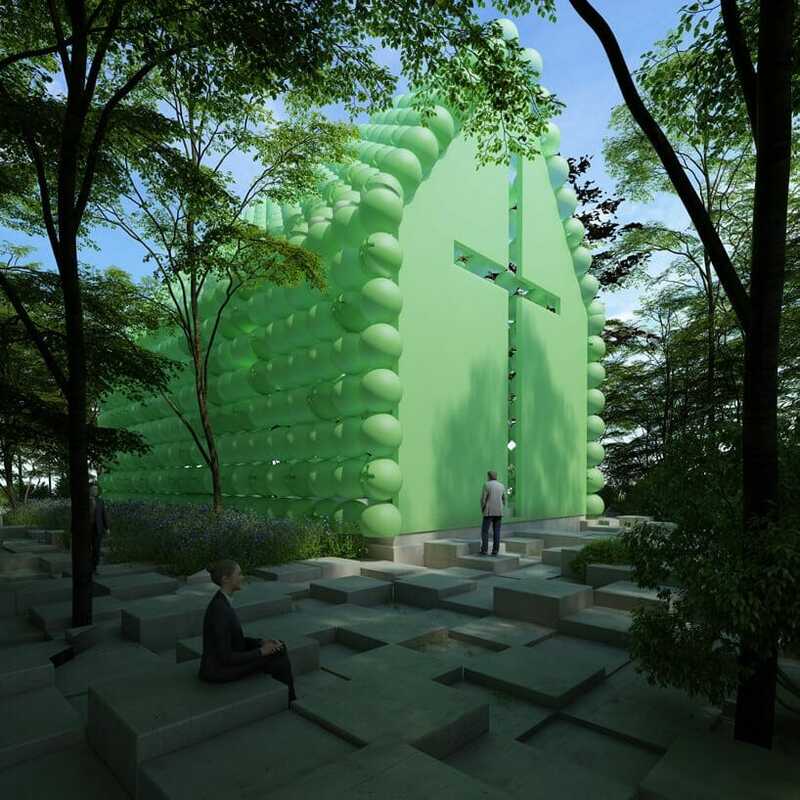 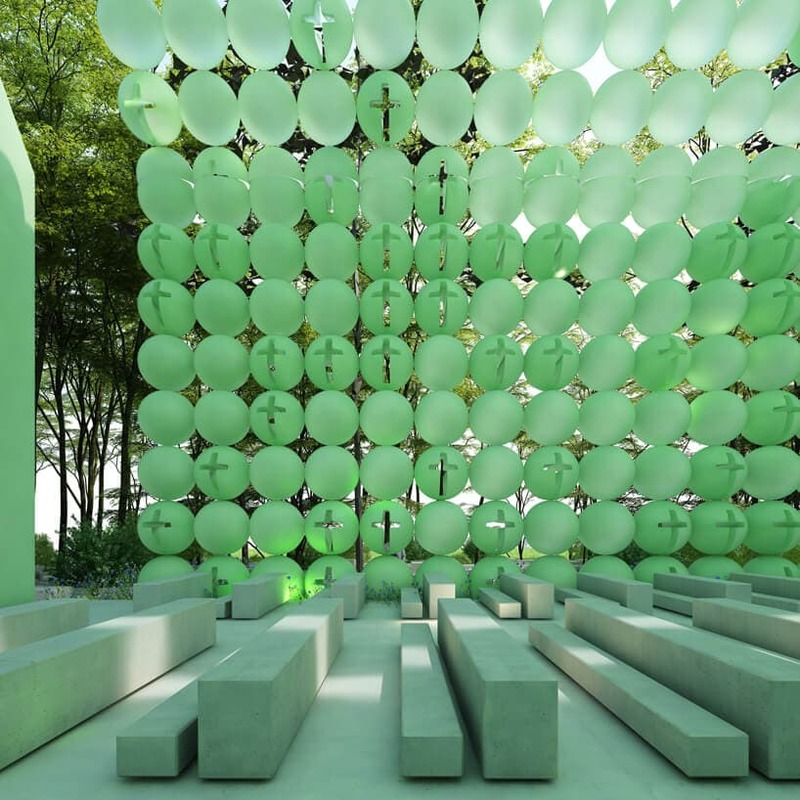 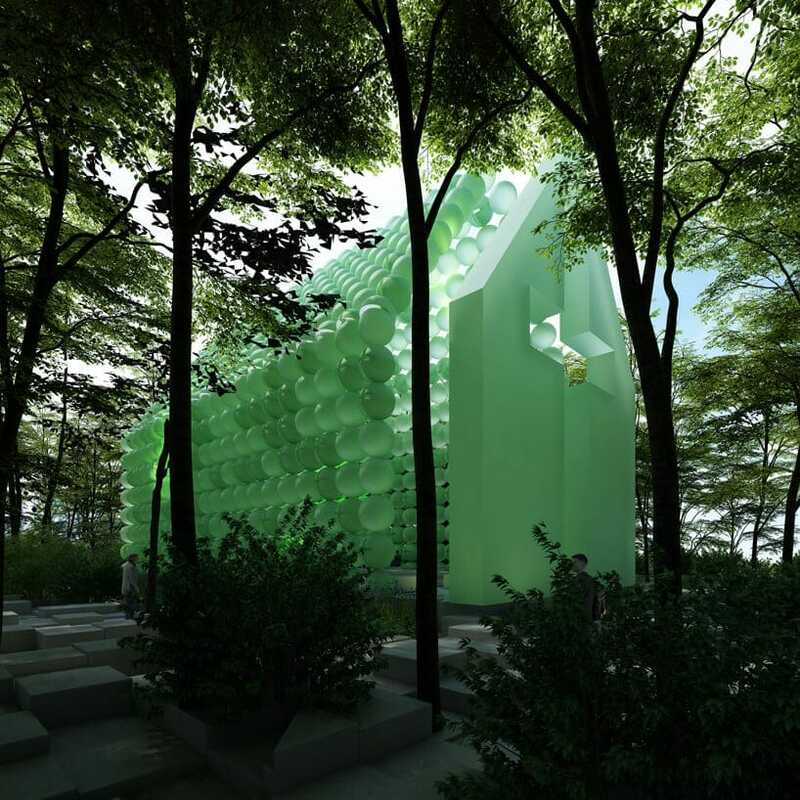 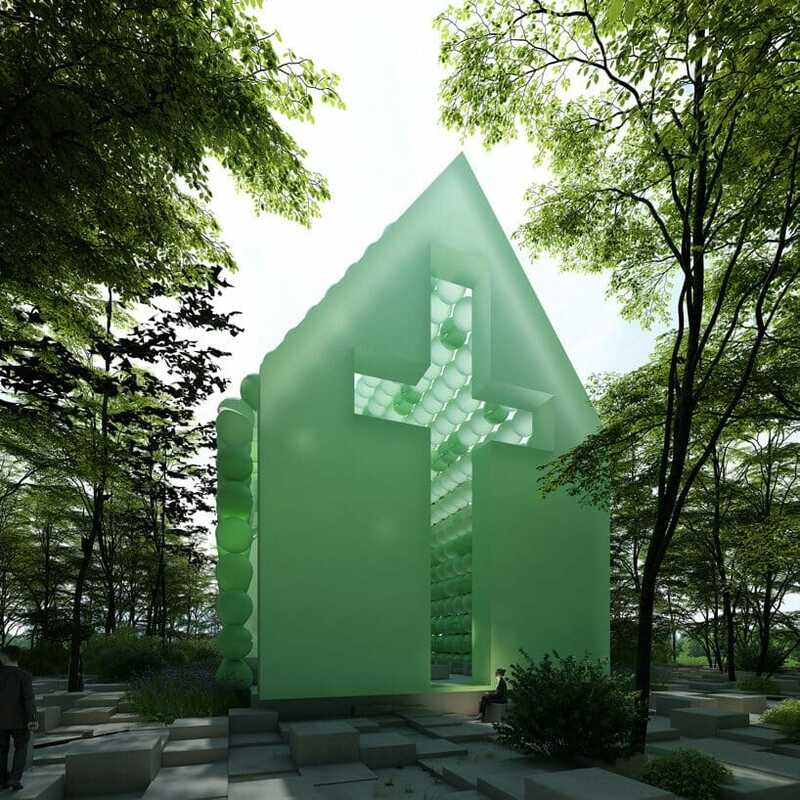 Meanwhile, the glowing green exterior – made from a mix of curved and flat surfaces – is disrupted by one cross on a front which admits its own function.